KPI Fire’s workflow feature provides a combination of predefined workflows that you can choose from or you can build your own and use them as project templates. You can organize your workflows into Tabs. By default you should see a “General” tab, or you can add new tabs. 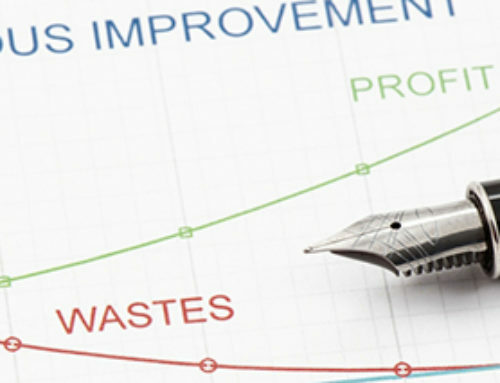 Customizable Project Charter. 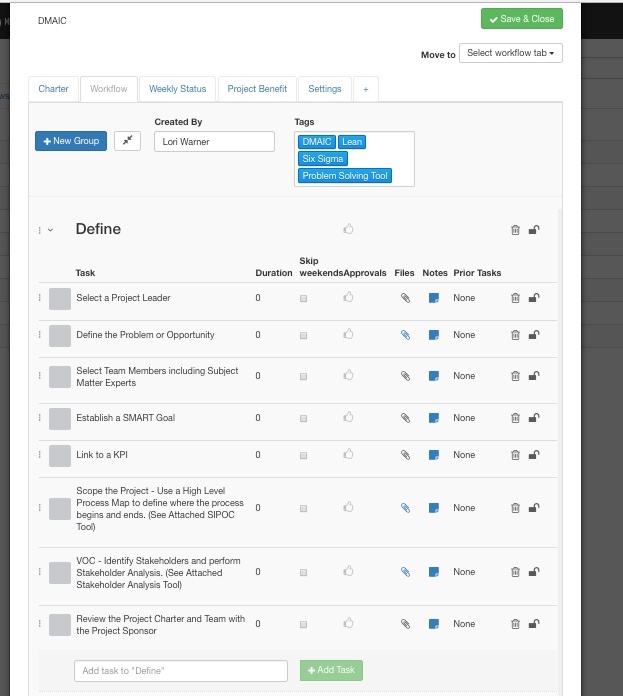 Customize your project charter or add default text into any of the boxes to start a project. Click New Tile to add a new tile to the charter tab. Click-drag the bottom corner of each tile to change the size, or grab the tile by the title bar to change its location. Add default text to any project charter box. Create a new tab for even more customization options. 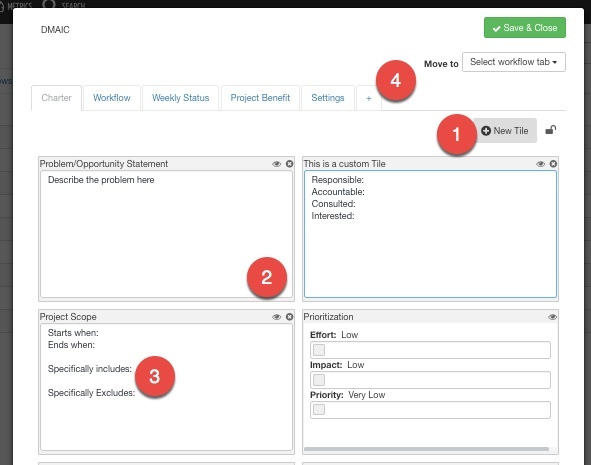 Each workflow can contain custom Project Benefits. 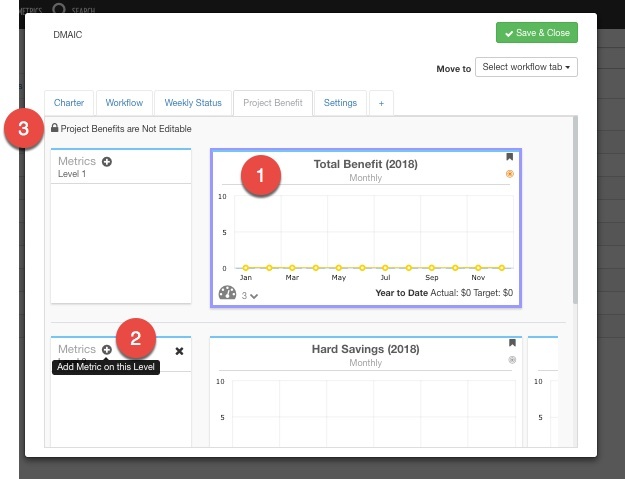 To add a new project benefit click the Level ABOVE the level where you want to add the benefit by clicking on the Parent benefit. You should see a blue outline on the selected benefit. 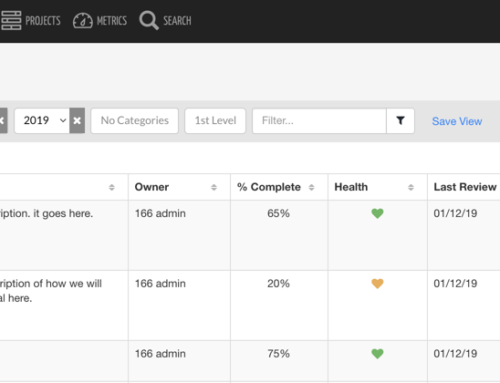 Then click the “+” add button on the next level down to get a “new benefit” box where you can name your new project benefit. 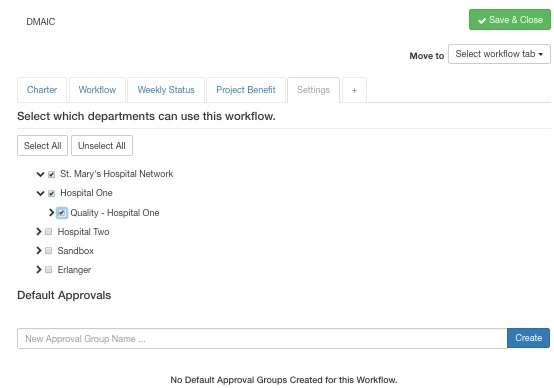 The Settings tab is where you will control which departments can use this workflow. Check the boxes next to each department that should have access to this workflow. Default approval groups can be configured on the settings tab as well.